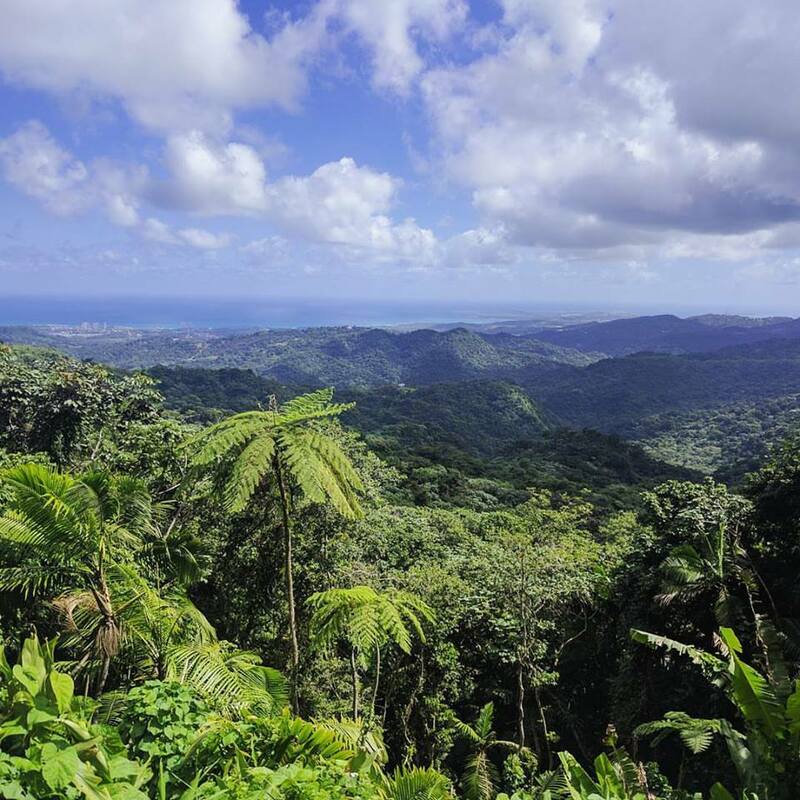 Yesterday we drove from Caguas (near San Juan) to the south side of the island. 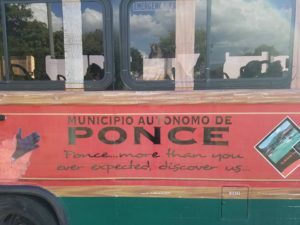 We are in Ponce to work at a nursing home for our last service day, but first we had a delightfully warm welcome from the Ponce civic representatives, including the head of tourism. 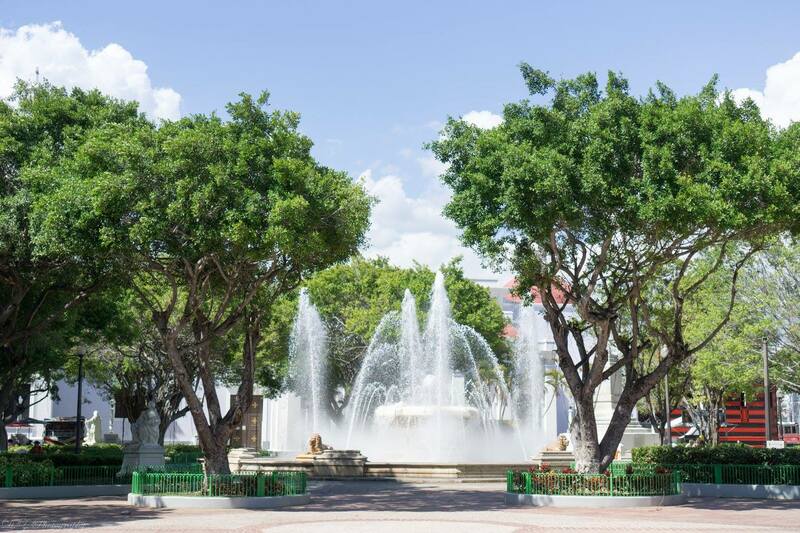 We explored the quaint and colorful town square and some of the city’s main sights, including a tree believed to be more than 500 years old. Today we served at Asociacion Benefica de Ponce, home to about 35 senior citizens. 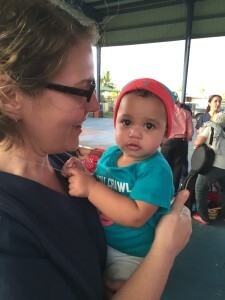 We helped with bathing and dressing, medication administration, and wound care. We also attended a lecture on palliative care by one of our leaders, Dr. Weihua Zhang. Members of the nursing home staff as well as nursing assistant students sat in on the lecture, which included an insightful comparison of end-of-life care in the continental U.S. versus Puerto Rico. As one might expect, many of of the emotions and rituals are the same, but we did learn that some people on the island practice Santeria, a Caribbean religion with its own spiritual traditions. 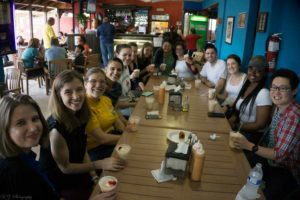 One of the most profound parts of our visit to the Asociacion was connecting with the clients one-on-one. 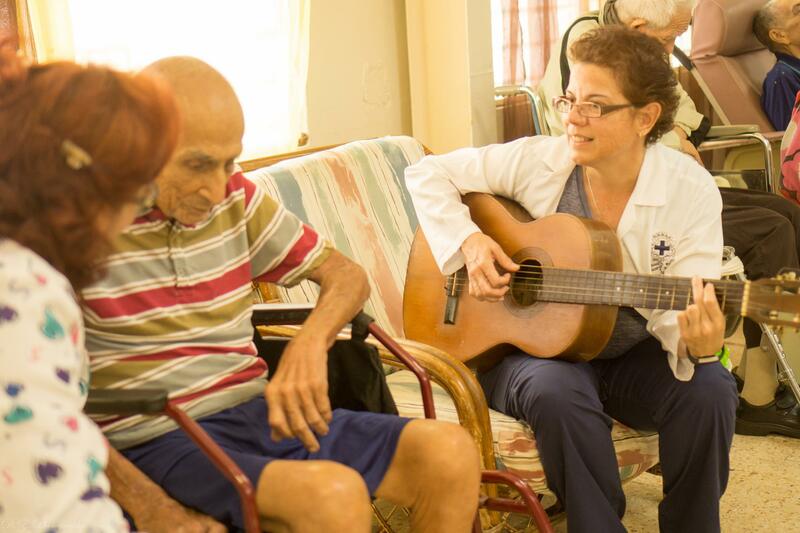 One of our leaders, Gladys Jusino, took out her guitar and sang traditional Puerto Rican songs with the clients. We were reminded that a smile and a gentle squeeze of the hand are universal gestures that transcend language barriers. 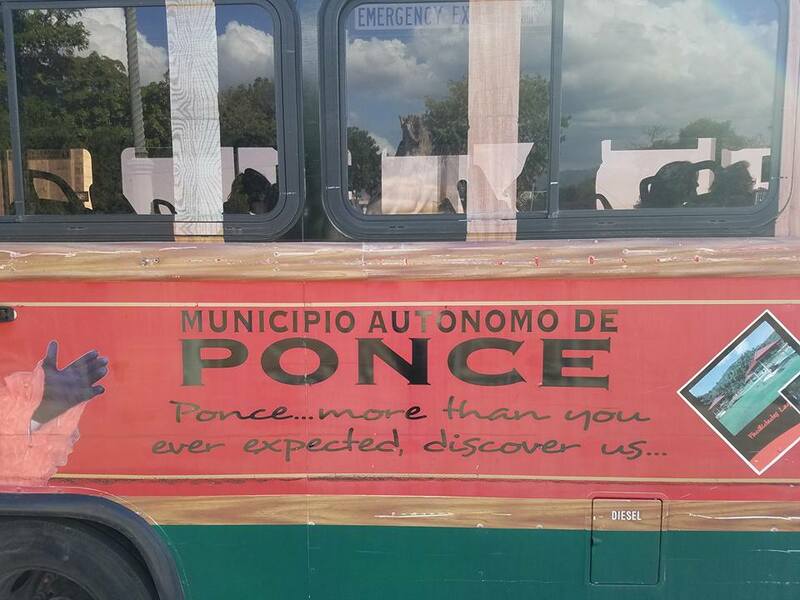 We ended the day with a bird’s eye view of Ponce and sleepy car ride back to our headquarters near San Juan. Our service learning trip has come to an end, and tomorrow we fly back to Atlanta. 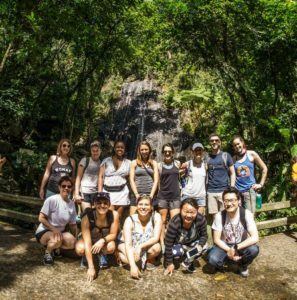 I think I can speak for everyone in our group when I say that we were humbled and honored to have been a part of this trip to Puerto Rico. 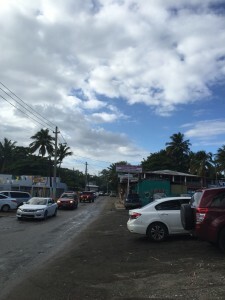 We met incredibly gracious and intelligent people, we learned about the island’s vibrant culture and history, and we aimed to care for, in however small a way, some of its most vulnerable citizens. Thank you to our brilliant and fearless leaders, Gladys Jusino and Weihua Zhang, and their family members that accompanied us. Wepa, a Puerto Rican word that implies joy and good cheer, was brought up a lot during this trip. 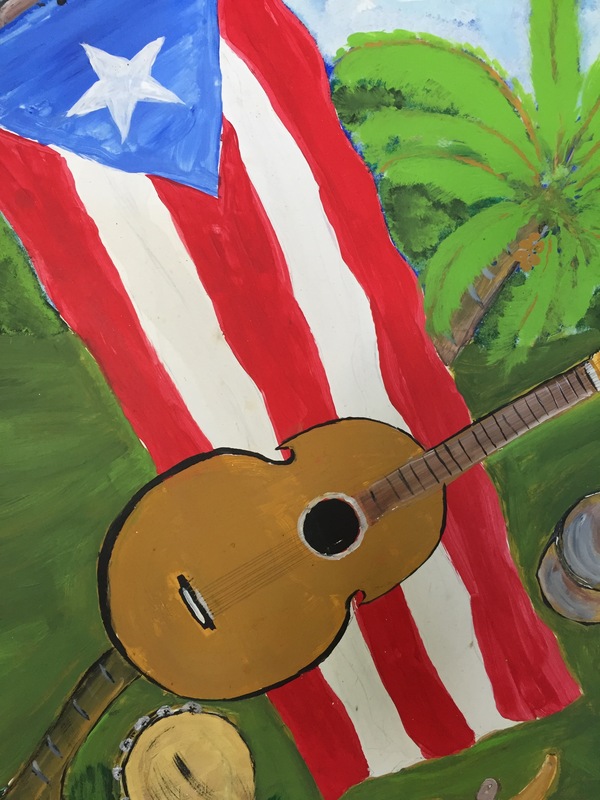 Gracias, Puerto Rico, for welcoming us with open arms. We will be back! ¡Wepa! 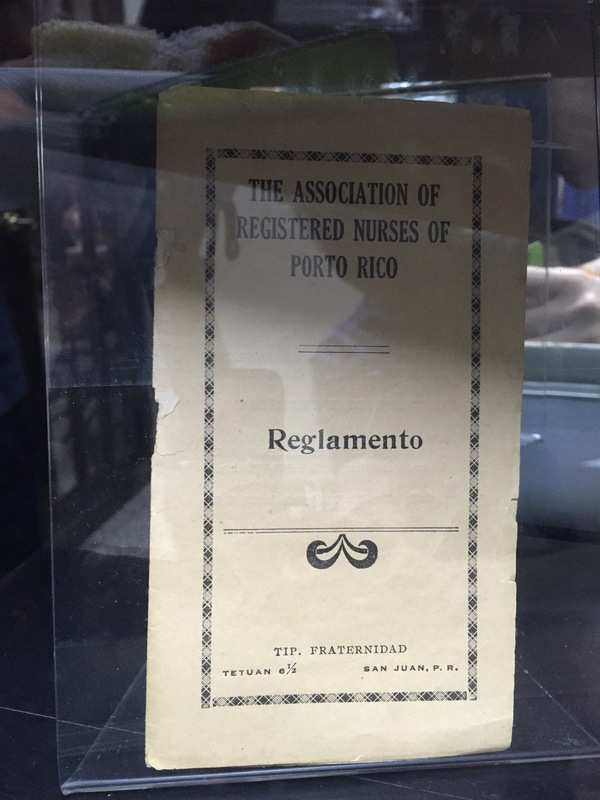 Today we spent the morning at the Colegio de Profesionales de la Enfermera, an organization for nurses in PR similar to the American Nursing Association, learning about nursing and the state of health care in Puerto Rico. 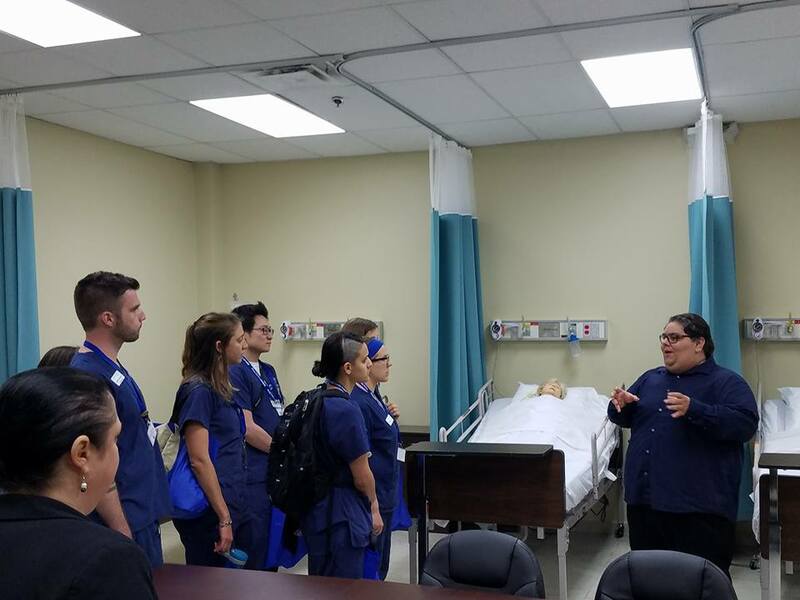 In order to practice as an RN, nurses here must have a college degree in nursing as well as membership in this professional association. The director of the Colegio, Juan Carlos, told us that a recent Puerto Rican law decreased the number of sick and vacation days for all workers, and increased their probation time before becoming permanent employees. Juan Carlos also told us that in recent decades, Puerto Rico has seen a “brain drain” of its workforce to the continental U.S., including the departure of nurses. 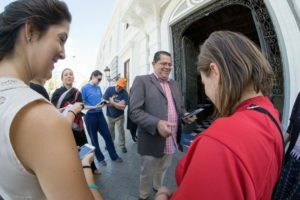 The Colegio is hard at work advocating for better pay and working conditions for its members. 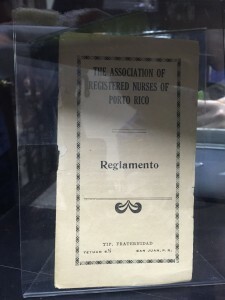 Juan Carlos ended his talk with a quote in Spanish from Florence Nightingale that referred to nursing as “un llamado superior,” a higher calling. After another yummy Mofongo meal for lunch, we traveled to a local hospital where a very special organization – PITIRRE – is headquartered. 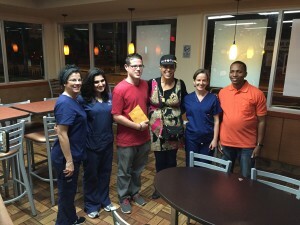 “My admiration for nurses was born from an exposure to street medicine. Their ability to address the entirety of the person was something displayed during each client interaction. Wednesday (March 8th) began at PITIRRE de Iniciativa Comunitaria, an addiction treatment program offering healthcare, education and prevention services to homeless and HIV-positive clients. 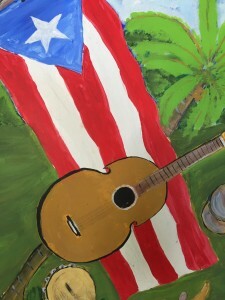 The pitirre is a bird found in Puerto Rico weighing nearly 1.5 ounces and personifying somewhat of a powerful underdog. El pitirre serves as a symbol of hope and resilience in the face of adversity. 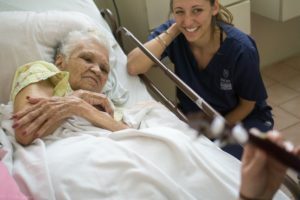 The staff at PITIRRE emphasized the bond between ourselves and our fellow human – the tie between providers and clients. They encouraged us to understand our intersection as brothers and sisters and the power in our collaboration with one another. With this lesson in mind, we began our night by making sandwiches with members of Operacion Compasion de Iniciativa Comunitaria, a mobile clinic project rooted in Rio Piedras, Puerto Rico. 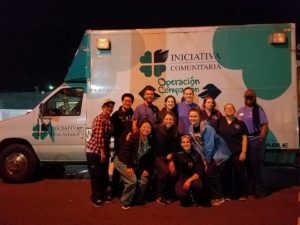 We assembled hygiene kits, brewed gallons of coffee, and collected juice boxes, medications and wound care supplies into their mobile clinic truck. From 10pm to 3am, we combed the streets, in search of possible clients. 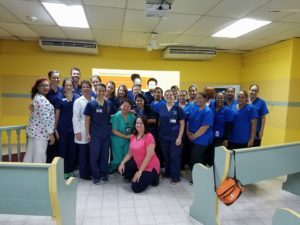 Led by two of the most humble leaders of Operacion Compasion, we treated a total of 38 clients and performed wound care on 6 of these people. 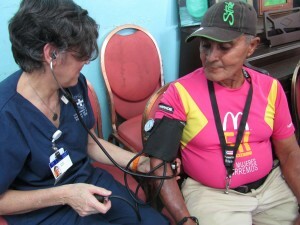 We offered blood pressure screenings, glucose checks, coffee, juice and sandwiches. We witnessed the isolation a person endures in the street and how the label “homeless” overlooks their humanity. Inevitably this manifests into a marginalized community drowning in stereotypes and misconceptions. 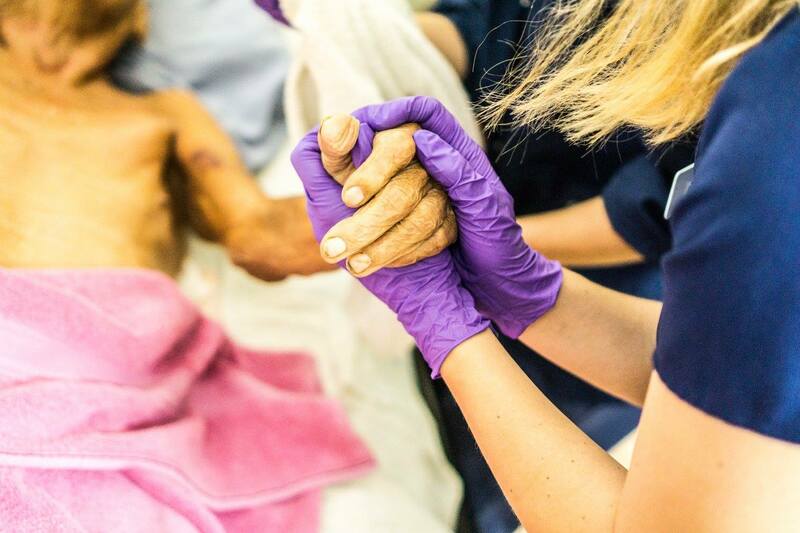 When I reflect on this experience, I’m reminded of the importance of being present with those who suffer. 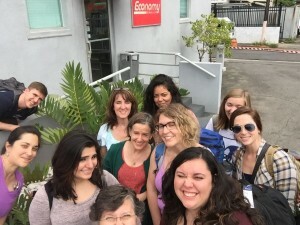 The nature of homelessness obscures the client’s voice and visibility. 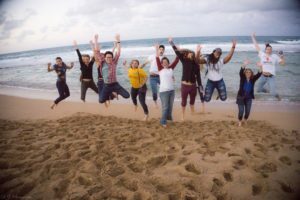 By meeting these people where they are, we are choosing to resist the poverty and injustice of their circumstances. 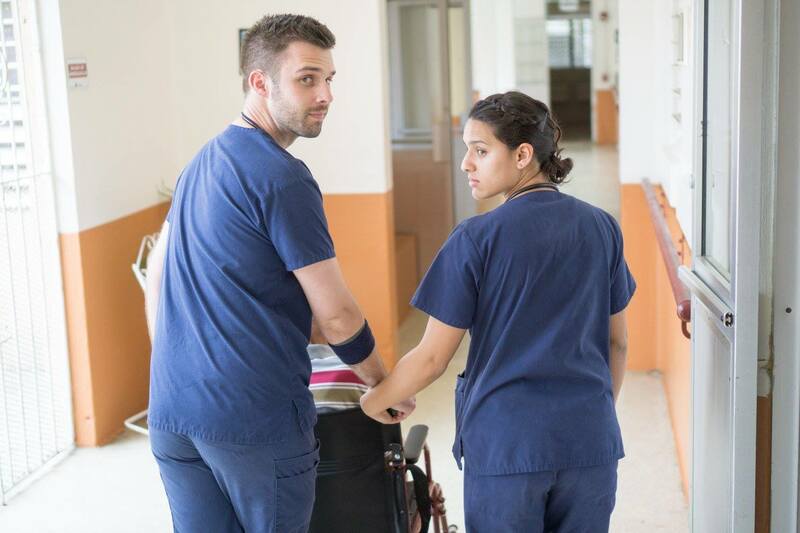 As student nurses, we have an obligation to uphold the individuality and autonomy of each client and oppose the forces impeding their access to care. 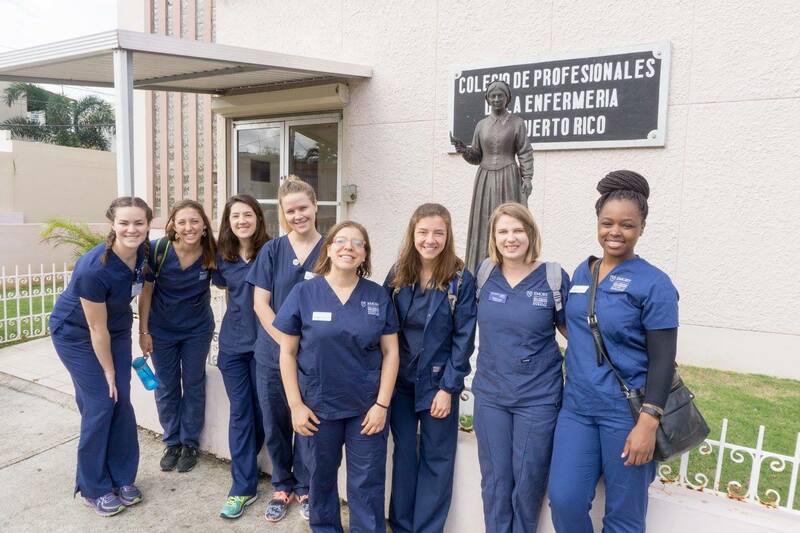 Today began the real reason we came to beautiful Puerto Rico: to be in service to the community. We started the morning with a yummy breakfast of eggs and sausage that the wonderful staff at the local Salvation Army (where we’re staying) made for us. We then got to work on our health fair (or, in Spanish, La Feria de Salud). 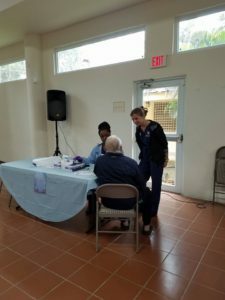 Local residents from public housing came to the Salvation Army chapel where we had several tables set up: blood pressure checks, glucose checks, self-breast exam information, and smoking cessation. We split up into teams of two or three and about 30 people came. 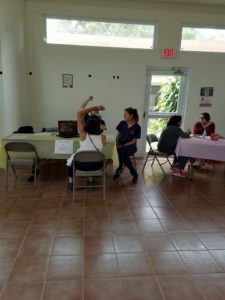 We (along with our Puerto Rican-native professor and our nurse practitioner professor) counseled people on lowering blood pressure and managing diabetes. Some realized they needed to go back to the doctor to adjust their medications, and others got advice on lifestyle modifications. 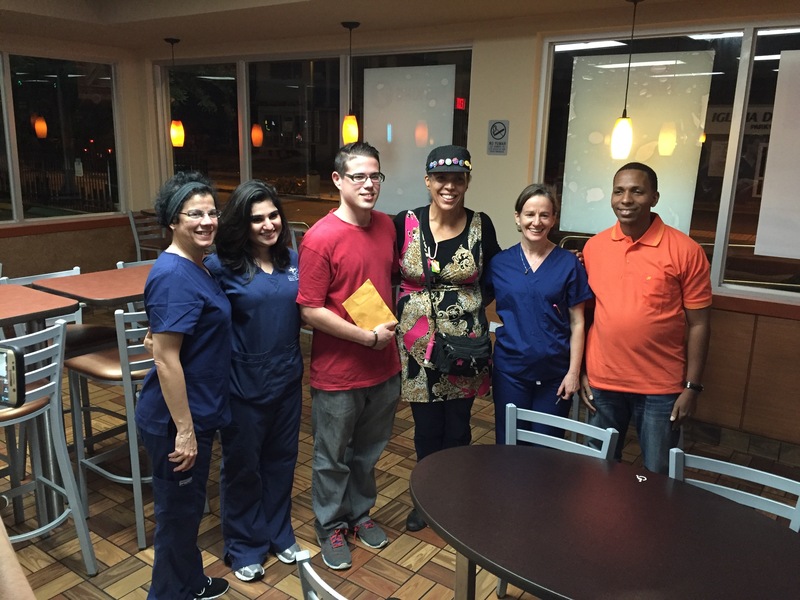 We felt strongly that we made a difference in these people’s lives, and they expressed their gratitude. It was a lovely morning of health education and outreach! During lunchtime, we were lucky enough to have a talk with Dr. Dana Thomas, a career epidemiology field officer with the CDC. 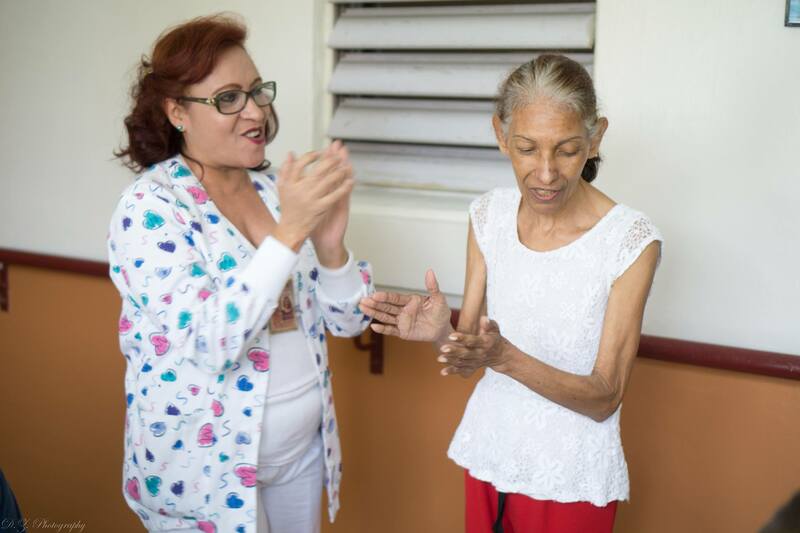 She spoke with us about how Zika has affected Puerto Rico, and we were shocked to hear that an estimated 400,000 people have been infected with the virus. One important takeaway was that 75% of people infected with Zika are asymptomatic, so it can spread among people without their knowledge. 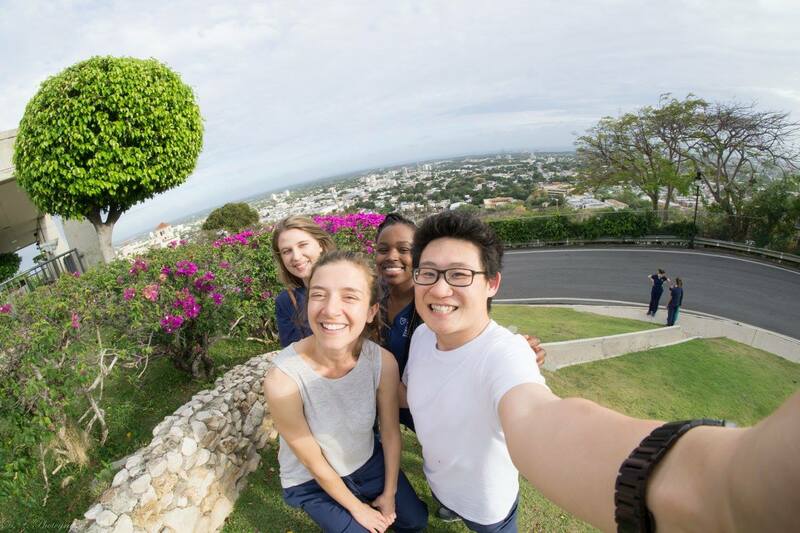 In the afternoon, we visited National University College, a private university system on the island that has a robust nursing program. 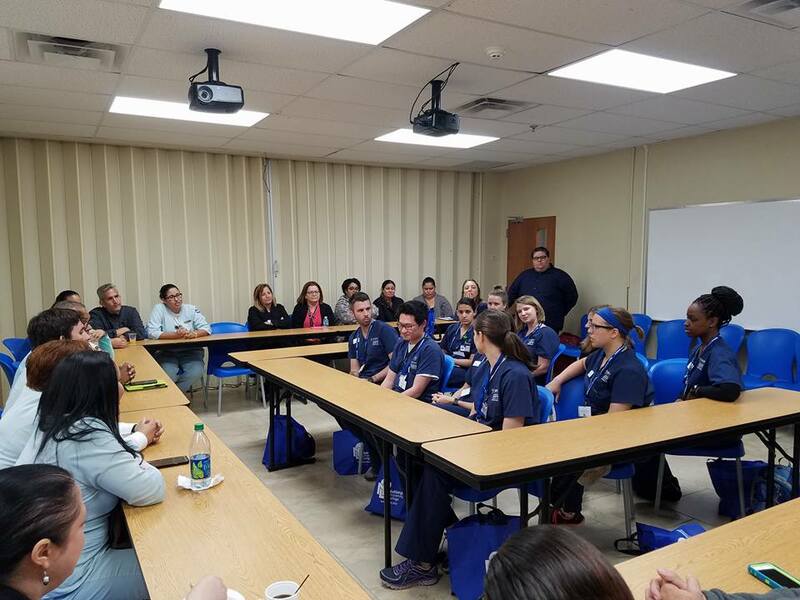 We received a warm welcome complete with gift bags and hats, and were able to see how nursing students here learn — turns out, it’s quite similar to us! They have simulation rooms and clinicals. We even recognized some of the sim mannequins as the same ones we have at Emory. 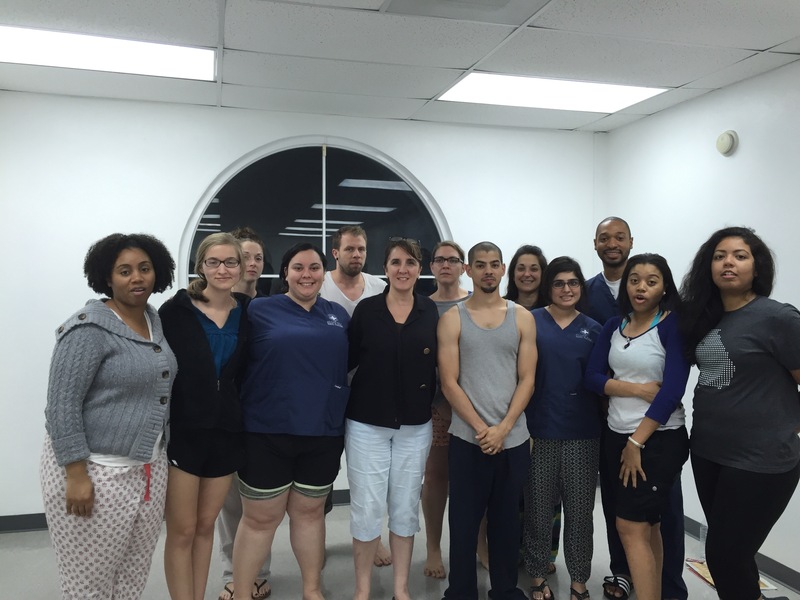 Big thank you to the amazing staff and students at National University College in Caguas, Puerto Rico! What a day! 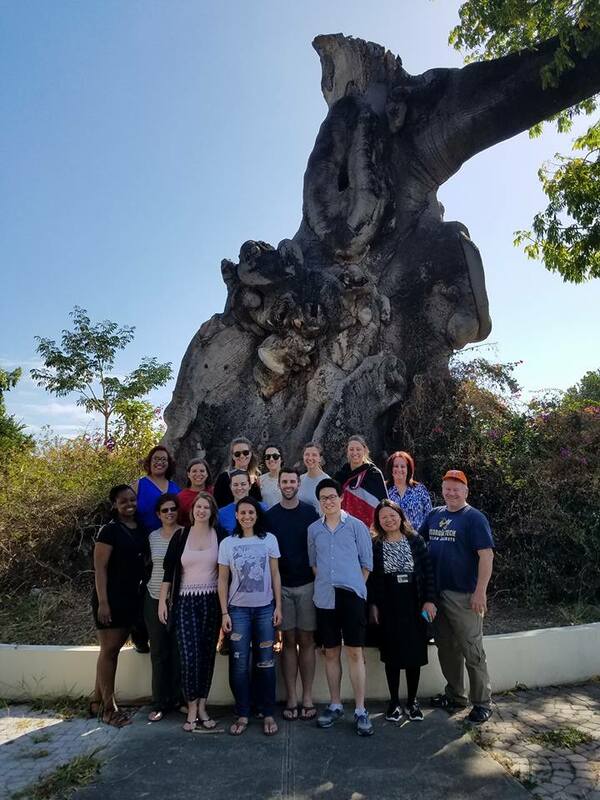 The 11 Emory students in our group, plus two wonderful Emory professors, arrived in Puerto Rico yesterday evening and ate a traditional meal of mofongo, which is a mix of fried green plantains and, in our case, shrimp. 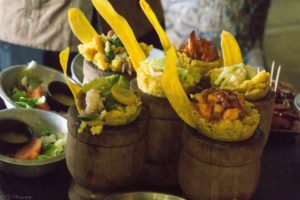 We also sampled some conch meat — you know, the creature inside the shell you hold up to your ear and listen to the ocean with. What a treat! 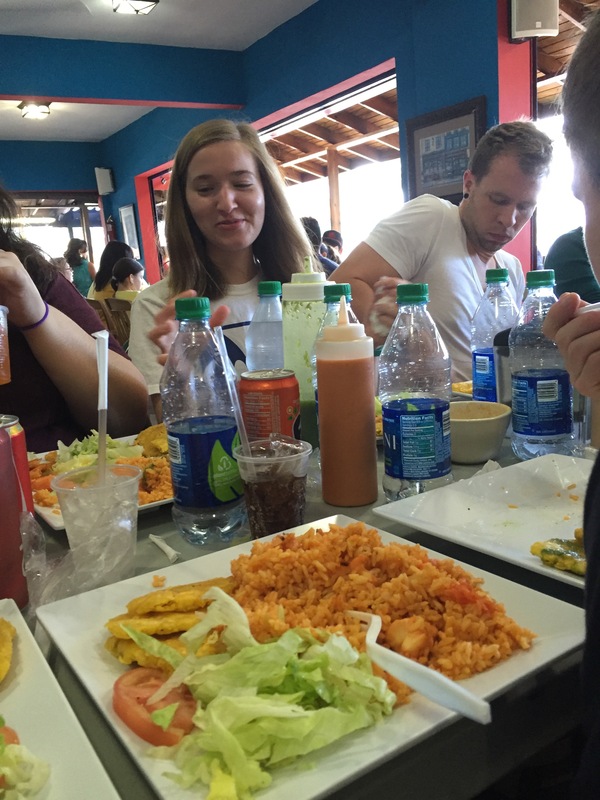 Today was our one “free day” of the week, and we packed in as many Puerto Rican activities as possible. We started in the Yunque National Forest, southeast of San Juan. 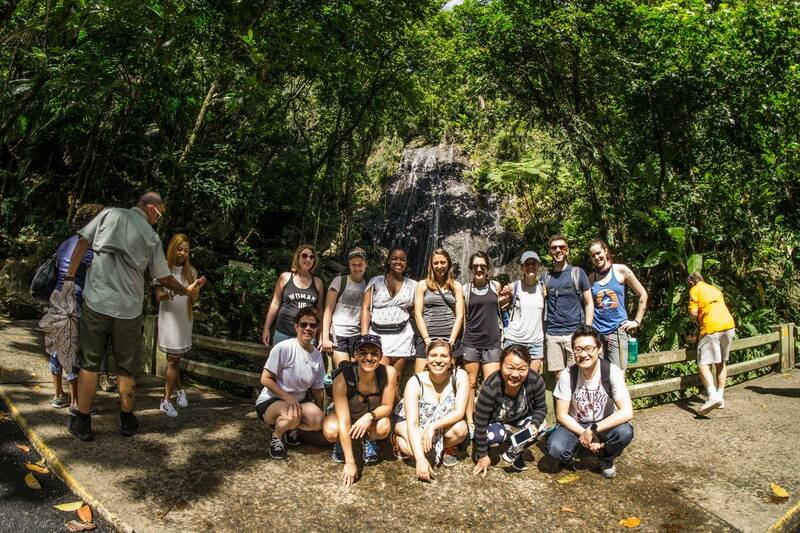 We hiked through the jungle and splashed around in waterfalls. We drank homemade lemonade and got amazing views of the country from atop a fire lookout tower. We ended the day with a swim in the ocean, some snorkeling, and fried fish and ceviche. We practiced our Espanol and are resting up in our Salvation Army dorms for tomorrow’s activities — let the service learning begin! 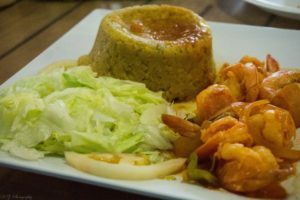 Mofongo and many more new words…. The Puerto Rico experience was a total immersion into this unique culture. We also saw parts of the island that few tourists will ever see. Our purpose was to get a first-hand experience of the healthcare system in this beautiful, and financially struggling, island. We met the President of the equivalent of the Nursing Association (the Colegio de Enfermeras), visited homeless addicts near the main medical center, accompanied a visiting nurse to deliver recycled christmas toys to low-income children, toured the medical center campus (which houses 6 different hospitals), visited the Central Hospital, the helipad and helicopter, and lastly performed patient education at the methadone clinic (within the campus). 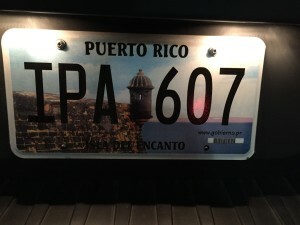 Puerto Ricans are a friendly and hospitable people. I was moved by their generosity and eagerness to share their personal experiences with us. My life and my nursing career will be changed from this experience. On Monday January 4, 2016, we visited one of the many Salvation Army sites in Puerto Rico. From our tour of the facility we learned that the men who struggle with addiction are allowed to stay on site. The men have their own sleeping quarters and they have their meals on site as well. There is a set routine that they must carry out everyday. This routine consists of breakfast, work, dinner, and mass in the chapel. The men have jobs where they either work in the store below or go to pick up donations. They are also given a free day each week where they can break from the routine and relax. On the day of our visit we were able to talk with the men after they had dinner at 3:30. We took their blood pressures and spoke with them about their time at the Salvation Army. We learned that they were from all over the world. They were from places like the Middle East, the United States, the U.S. Virgin Islands, and more. 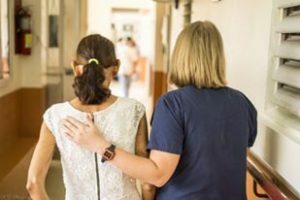 Through discussion we also found out that there were men who had been at the facility for either less than a year to ten or more. 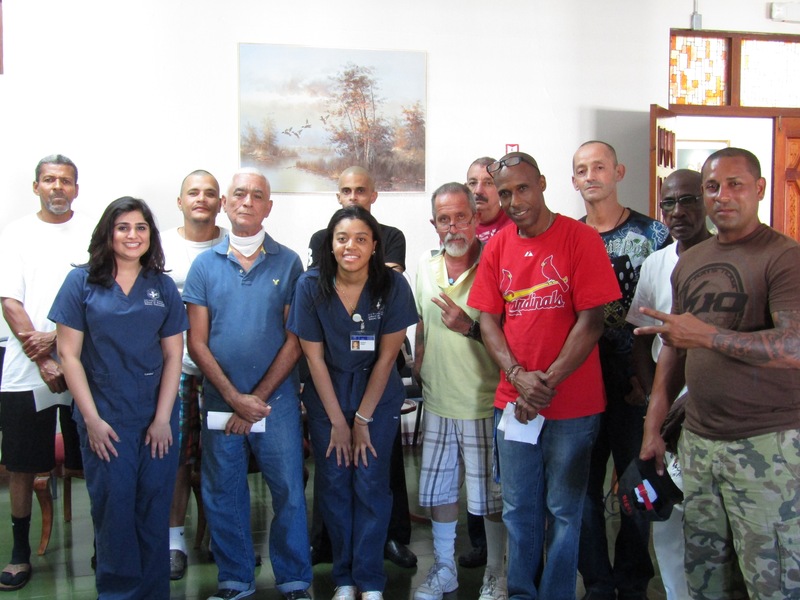 After we spoke with the men we broke off into groups and gave seminars about PTSD, anxiety, nutrition, wound care, and hygiene. My group gave an anxiety seminar in the chapel. When we started a couple of men left because they did not like the exercise. We played a game called “Fear In a Hat”. In this game we had each participant write down their biggest fear on a piece of paper anonymously. Then we had each participant pick out a paper from the hat and read the fear that was written. Finally, we spoke about the difference between fear and anxiety and did a breathing exercise. We turned off the lights and had the participants breathe deeply while being mindful of their environment. We had great feedback from the men. The group consensus was that there was an overall feeling of relaxation after they did the exercise. Overall, we had a positive and welcoming experience at the Salvation Army.